Interested in learning more about how you can bridge your Active Directory® instance to the cloud with Directory-as-a-Service? Check out the video below for a guide to installing JumpCloud’s AD Bridge feature. Create a “Read All” user. Install the AD Bridge Agent. The end result will be that you have established a relationship between Active Directory and JumpCloud, enabling you to extend AD identities to more of your infrastructure, including Mac and Linux systems as well as AWS, Google Cloud Platform, and more. If you would like more in-depth instruction, check out our AD Bridge installation support page. 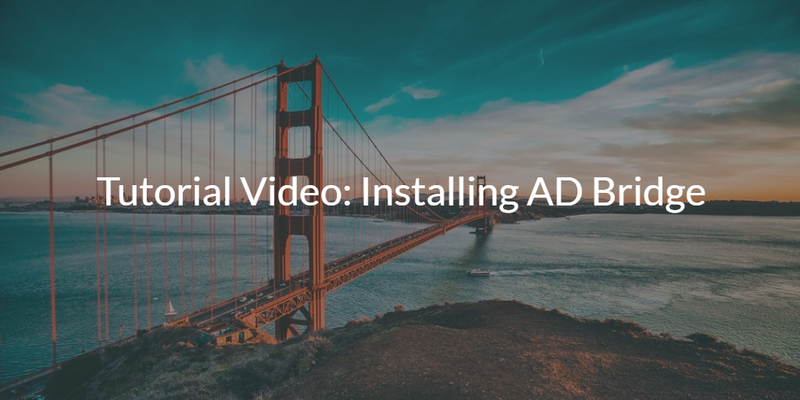 Once you have successfully installed, you can then move on to our guide to using AD Bridge. In addition to an existing instance of Active Directory, you will also need access to your admin console in JumpCloud’s Directory-as-a-Service. If you don’t have our cloud directory platform already, you can sign up here for an account (free for the first 10 users). Plan for a small amount of downtime, as the installation requires a restart of the Active Directory server. Ensure that you have a single Active Directory® Domain Name across your domain controllers. Requires creation of an AD User with “Read All User Information” permissions. JumpCloud API Key is needed to link the AD Bridge agent to your organization. Active Directory creates difficulties for admins who want to manage modern IT. The list of popular IT resources that aren’t easy to manage with AD keeps growing. Fortunately JumpCloud’s AD Bridge is able to extend your existing AD infrastructure to the cloud, all while maintaining Active Directory as your authoritative directory. With the JumpCloud AD Bridge, you can easily manage remote workers, connect users to cloud and on-prem applications, and simplify your system and user management on both Mac and Linux platforms as well as Infrastructure-as-a-Service providers such as AWS and GCP. In addition, you can manage user identities in Office 365 and G Suite directories. Using this cloud identity bridge, many of the difficulties with Active Directory can be vastly improved. Questions about Installing the AD Bridge? If you have any questions about how to install the AD Bridge, or how it works, feel free to reach out to us at our contact page. 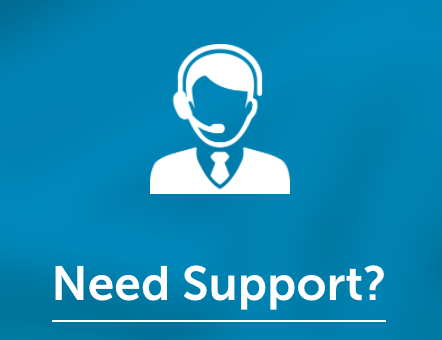 We would be more than happy to help solve any issues you may run into. AD Bridge was created to help IT admins more efficiently and smoothly manage their IT environments, and we want to make sure that everyone is able to experience the full benefits of our cloud hosted directory service. Alternatively, if you would like to see more tutorial videos about the Directory-as-a-Service platform, check out this YouTube playlist. It contains all of our product tutorial videos. You can also find additional resources on our KnowledgeBase. Not a JumpCloud Customer Yet? 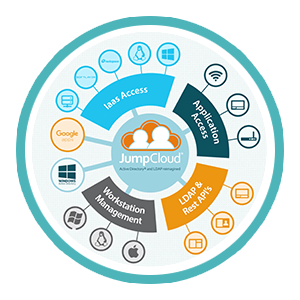 You can try out JumpCloud now, totally free. You don’t even need to put in a credit card. Directory-as-a-Service is free forever for your first 10 users, so you can test every aspect and feature of the platform to make sure it works for you. Try our cloud-based directory for yourself and see how much easier a directory can be. You can find more details on the product by checking out our technical datasheet, or contacting us.